ANKARA (Reuters) - There is a shared belief among the members of the Group of 20 leading economies in the need to "double down" against competitive currency devaluation and avoid it in both policy and language, a senior U.S. Treasury official said on Saturday. "You can make policy decisions that lead to competitive devaluation, (or) you can say things that lead to talking down a currency," the official said. But Beijing appears to have learned about the importance of transparency in the communication of monetary policy from its latest market turmoil, the official said. 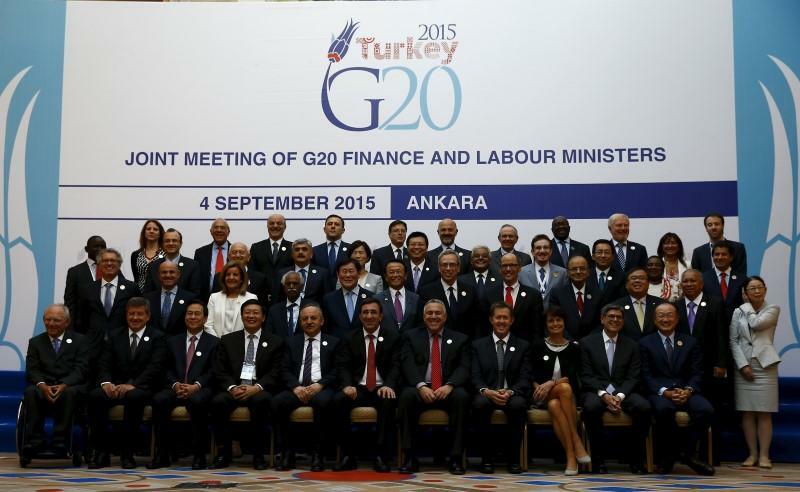 A draft of the communique obtained by Reuters on Friday showed that G20 members will likely to reiterate a promise to "refrain from competitive devaluations and resist all forms of protectionism".